LT Soccer is a responsive Joomla template which is specialized for opening online football store which can serve multi-purpose. Joomla Soccer theme has been developed with dynamic design, this theme will be a perfect choice to update football matches’ schedule, team ranking as well as sell relating products such as trainers, hats, balls,…Especially, LT Soccer has been integrated with J2Store, an amazing Shopping Cart and e-Commerce extension that allows you to set up your online store within few minutes without any effort. This theme is designed in full of sport desire by experienced developers, so football fans will find it attractive while exploring your site. Besides, LT Soccer has been built with the most modern web technologies like Bootstrap CSS grid layout, strong shortcode to present content and Quix Page Builder for building layout, K2 extended style, and more interesting features are waiting for you to explore. With those amazing technologies, you can expect to bring visitors the best user experience ever. Moreover, the best convenient point is that users can view your site on their mobile devices, in a wonderful appearance, because this theme offers a fully responsive layout on every kind of mobile devices. 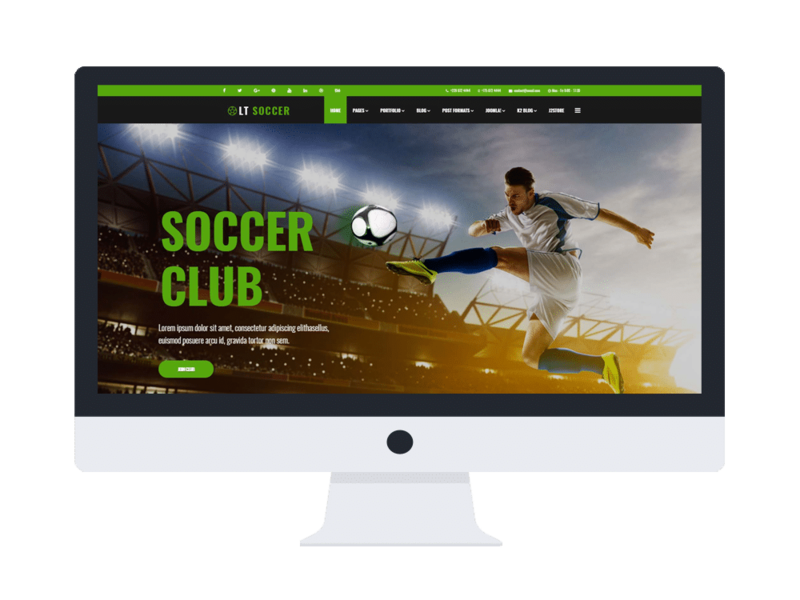 You cannot find anywhere a better Joomla Soccer theme than LT Soccer, go and give Live Demo a look now!